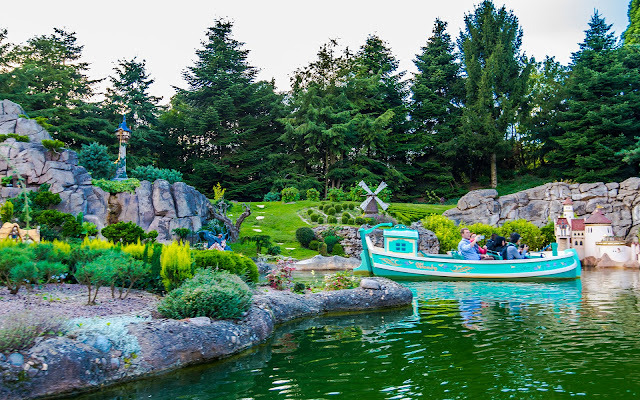 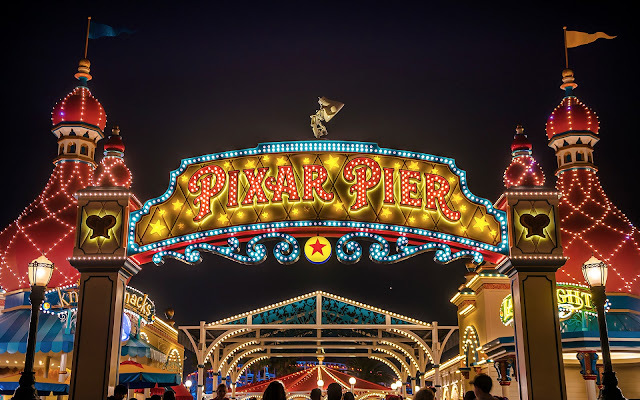 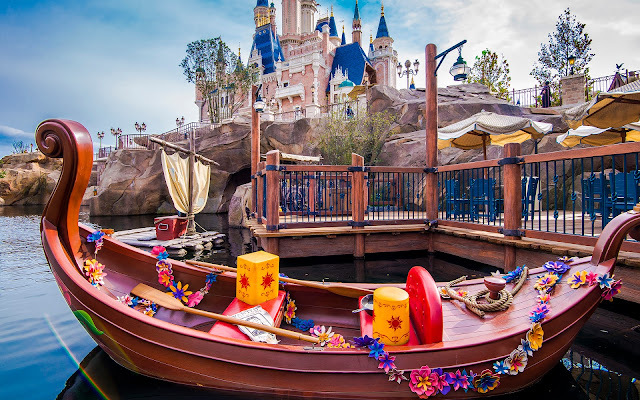 Disneyland Paris' Fantasyland is the most whimsical and charming of them all, so it's no surprise that it has a Storybook Land Canal Boats of its own. 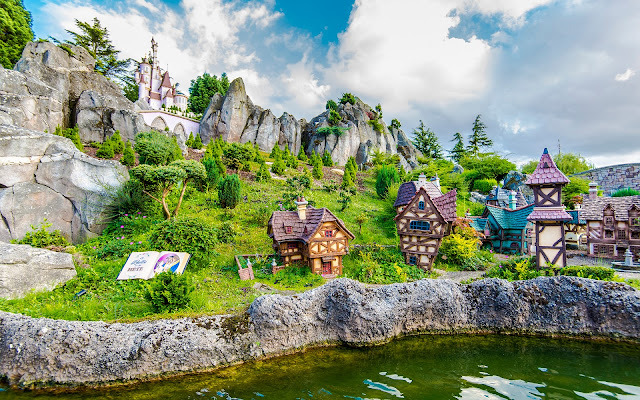 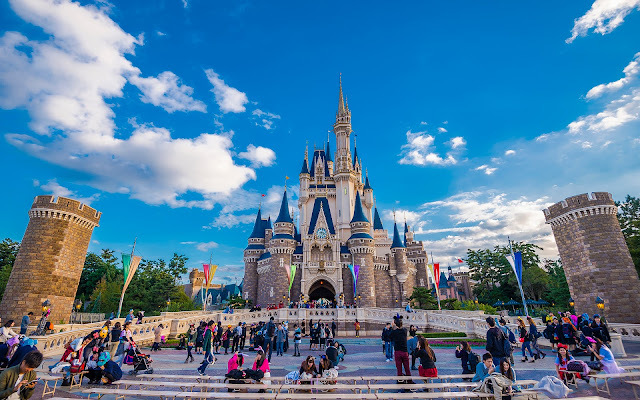 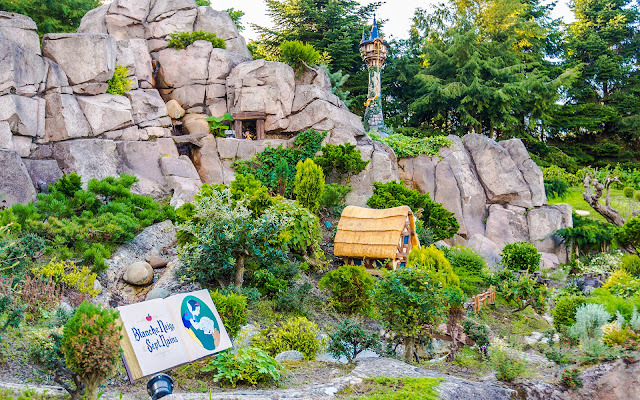 It's call Le Pays des Contes de Fées ("The Land of Fairy Tales"), and it it takes guests past a series of miniature lands modeled after various Disney movies and famous stories. 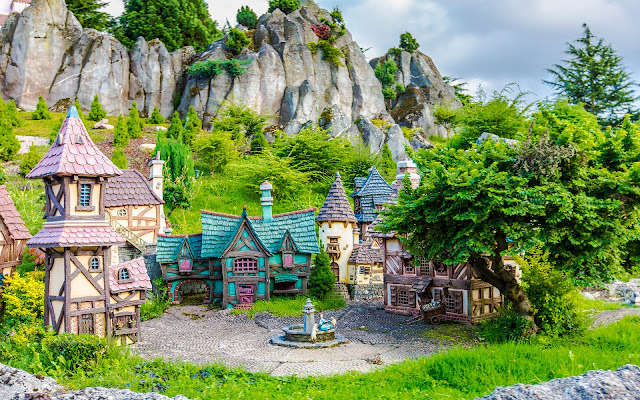 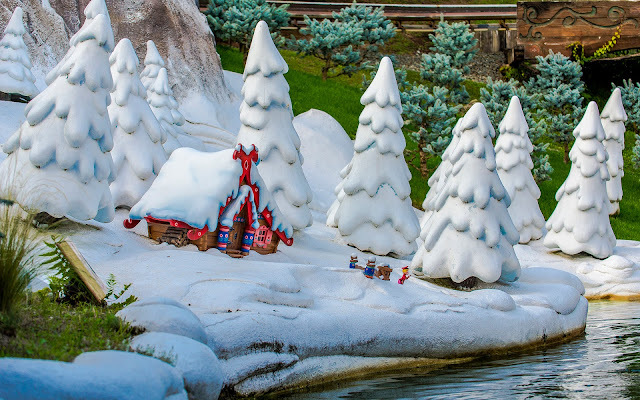 From Snow White and the Seven Dwarfs to The Little Mermaid to The Sword in the Stone to lesser Disney-associated properties like Peter and the Wolf and even non-Disney properties like The Wizard of Oz, the scenes are recreated in adorable miniature from. 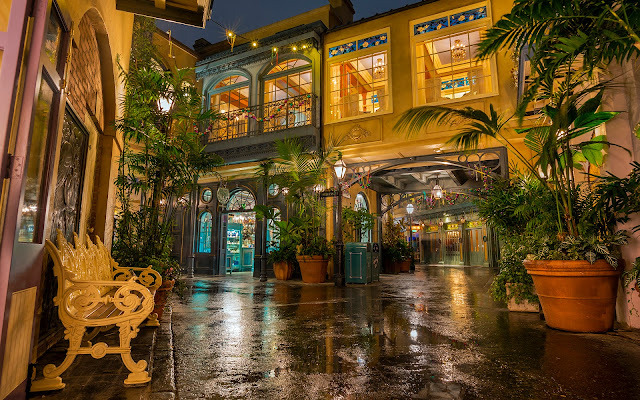 Here are a few snapshots from within the French iteration of this classic attraction! 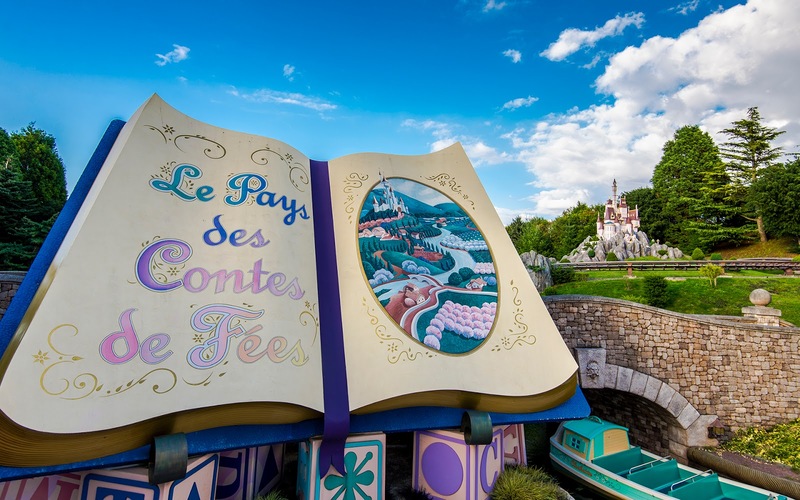 Welcome to French Storybook Land! It has a mix of old and new Disney properties, from Snow White to Tangled. 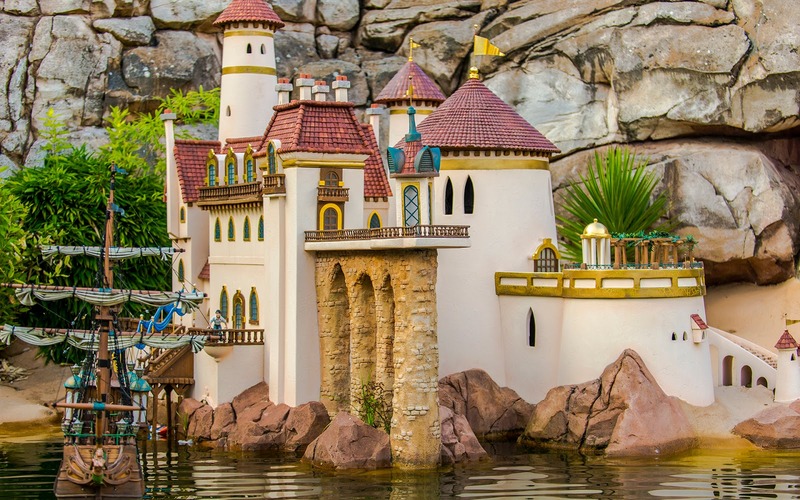 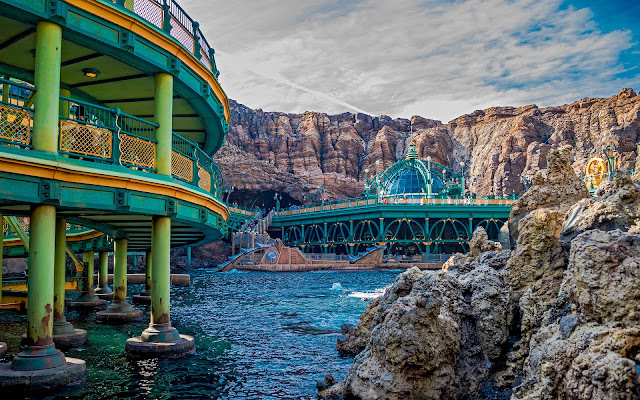 There's Prince Eric's palace from The Little Mermaid. 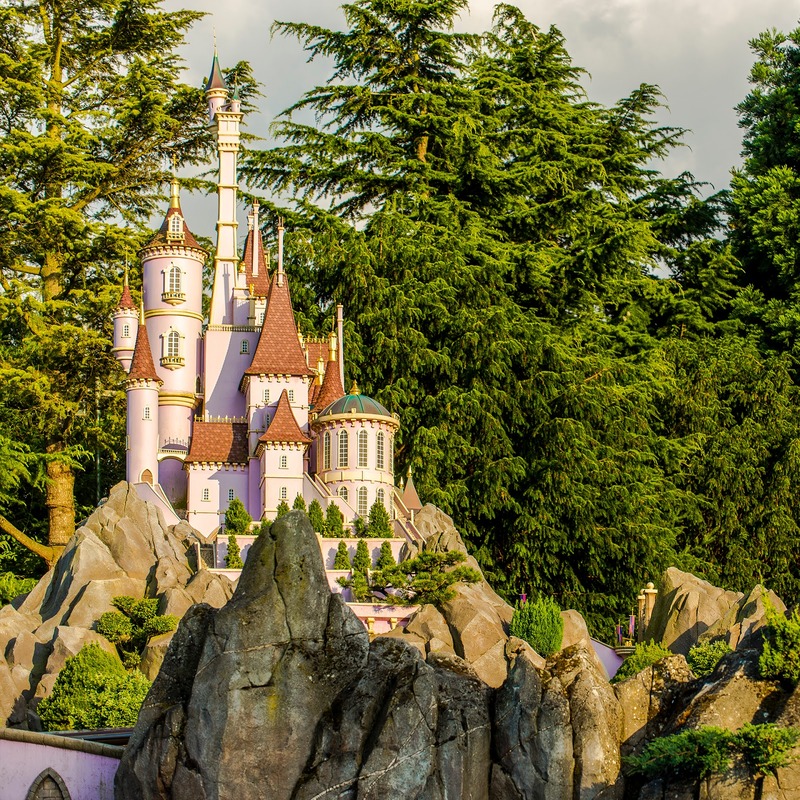 Beast's castle from Beauty and the Beast. 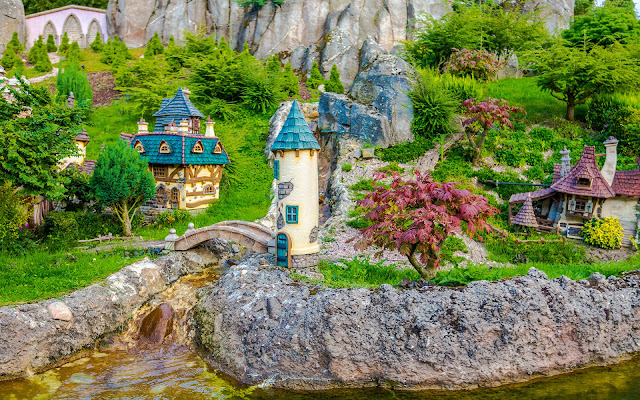 Peter comes out of his grandfather's cabin in Peter and the Wolf. 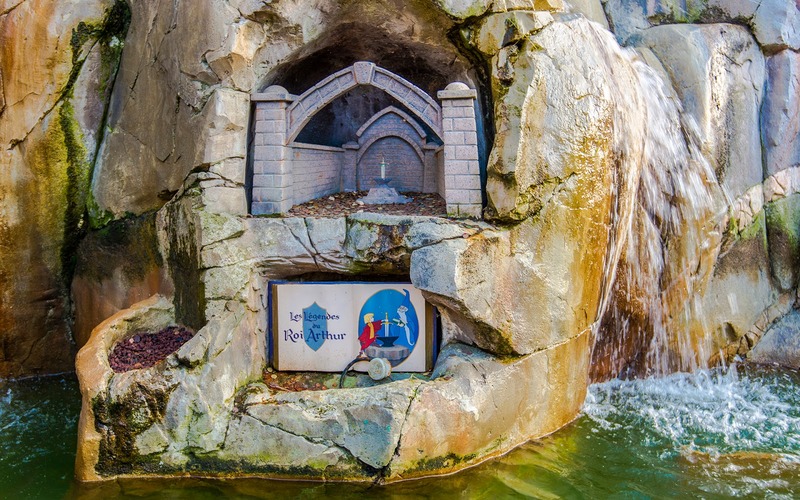 King Arthur's sword lies embedded in stone. A lovely poor provincial town in France. Naturally, this is a larger feature in a park set in France. 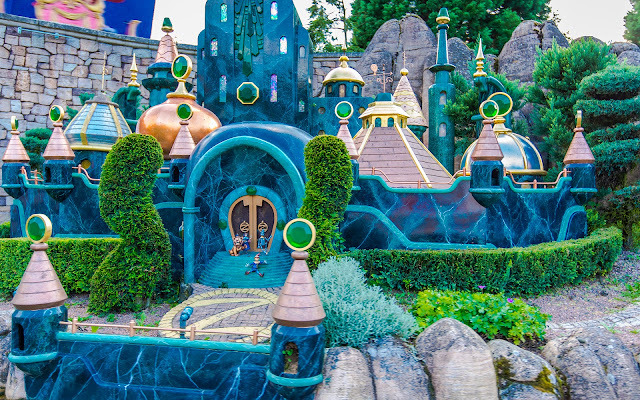 This vintage scene still sees the Emerald City at the finale of the ride!